A major Google Search update just hit the Google Play store for devices running Android 4.1+ (Jelly Bean). 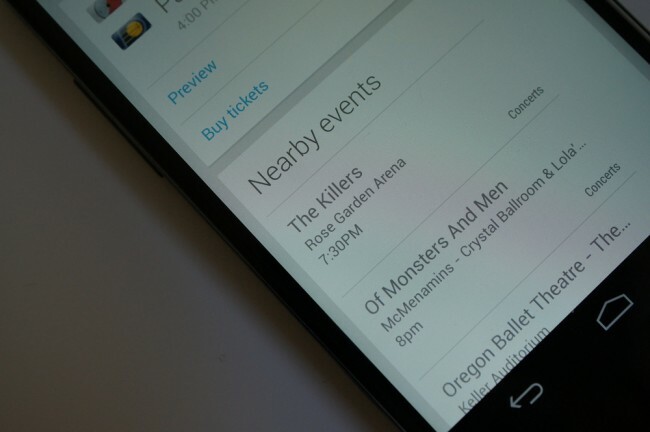 The update introduces a handful of new cards for Google Now along with some new voice actions. You will now see Now cards for events happening nearby, suggestions to help with research, boarding passes (United only for now), weather for upcoming travel destinations, and more. On the voice actions side of things, you can tell your phone to post to Google+, ask what song is playing, and have your phone to scan a barcode.